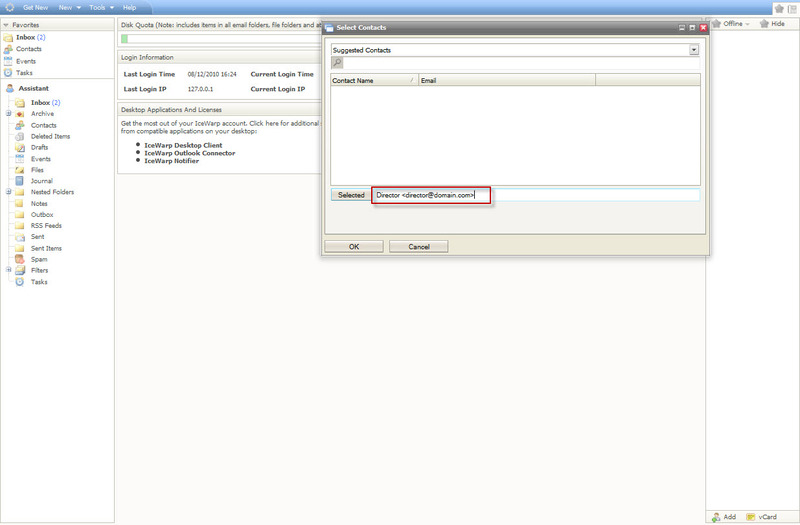 In IceWarp server version 10.2, it is possible to allow other users to accept/decline invitations sent to you. 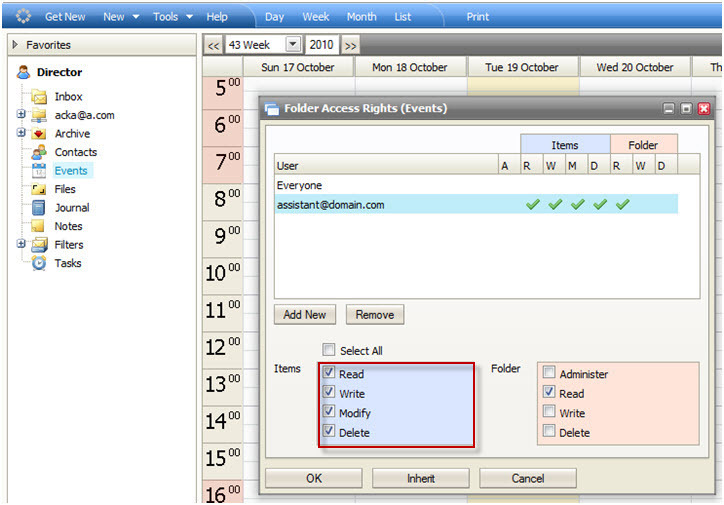 It is also possible to schedule events on another user’s calendar and send to the organizer as that user. This feature was available in previous versions, but when a second user accepted/declined or sent an invitation to the organizer, the organizer received a message from the person who handled the invitation, and not from the user who was the original recipient or owner of the event. This feature is especially useful for busy managers, allowing them to delegate responsibility for scheduling their events. In the following example, the user is a Director who wants to allow his Assistant to handle his invitations. First, you will need to grant the Assistant access rights to the Director’s Inbox, in order to allow the Assistant to see invitations sent to the Director. 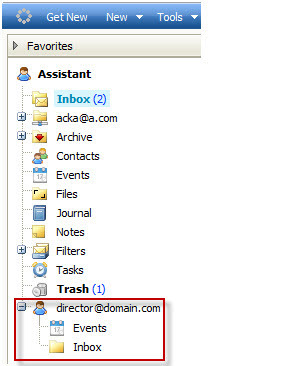 Log in as the Director, and from the main WebClient screen, right click on the Inbox, which should be the first folder under the user’s name (“Director”). The Assistant should have Read, Write and Modify rights, allowing this user to see invitations and marking invitations as read when they are opened. If the Assistant accepts the invitation it will remain in the Director’s Inbox, marked as read. If you prefer that the invitation disappear after accepting/declining an invitation, then the Assistant would need Delete rights as well. Although the Assistant can see, open and press “accept” or decline button in invitation at this moment, he wil not actually be able to accept/decline the invitation. 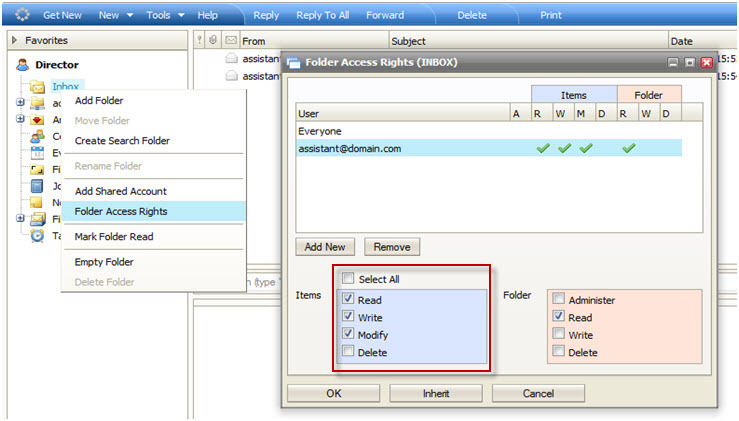 To allow the Assistant to accept/decline invitations, you will need to set the folder access rights on the Director’s events folder. The Assistant must have full rights (Read/Write/Modify/Delete) in order to manage the invitations properly. The Assistant will be able to see the Director’s Inbox and Events folders, and to manage events on the Director’s calendar. When someone sends an invitation to the Director, the Assistant can open the invitation in the Director’s inbox and accept/decline the invitation. If he accepts the invitation, then the event is added to the Director’s calendar and a confirmation message is sent to the originator from the Director’s address. The Assistant may also schedule events on the Director’s calendar. The invitations for these events will be sent from the Director, and not from the Assistant. To view the Director's shared Calendar and Inbox, log in as Assistant, and right click on the username at the top left corner of your screen. 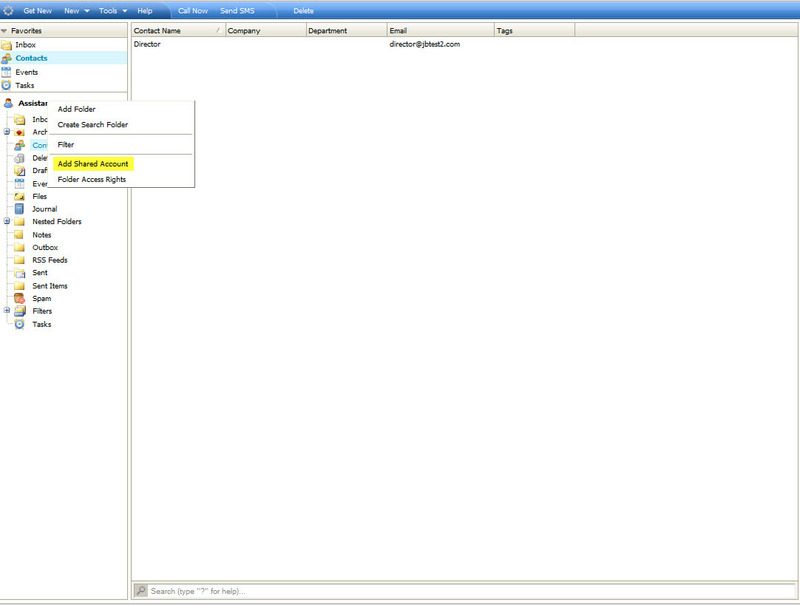 Enter the Director's email address in the input box (or select it from the Address Book if applicable) and click on "OK"